While it is gathering momentum toward final approval, the inaugural season of a potential Seattle NHL expansion franchise is still very much up in the air. Billionaire David Bonderman and producer Jerry Bruckheimer are leading an effort to bring an NHL expansion franchise to Seattle. 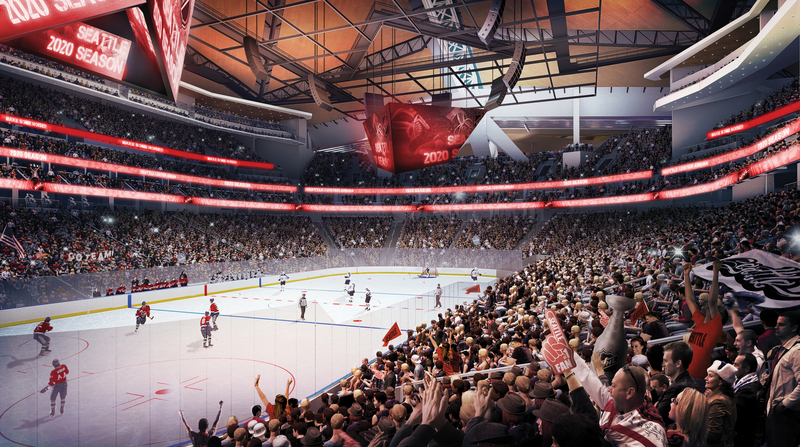 Plans call for the team to play its home games at a renovated KeyArena, which is set to receive a privately financed $700 million overhaul led by the Oak View Group that will potentially be completed by October 2020. Both Bettman and the Seattle delegation members participating in a Tuesday morning presentation to the NHL’s executive committee said the renovation timeline wasn’t a primary concern. Bettman said the league cares more about the long-term viability of the Seattle market and that’s what the approval vote at the upcoming Dec. 3-4 board of governors meetings in Sea Island, Georgia, will be about. Should the bid be granted approval in December, waiting to determine the inaugural season would allow for time to see how the KeyArena renovation project is unfolding. The plan is ambitious in scope, as it will completely overhaul the venue to modern NBA and NHL standards. Seattle’s goal is to eventually obtain teams in both leagues, but the ongoing expansion bid is one of the factors that makes the NHL the more imminent possibility.